Recovered PST file convertible into Portable Document Format. New Outlook Style user interface to make the handling of software easier. New & easier Activation process for existing as well as new user. Option to save scanned EDB file, results in low time consumption on re-scanning of same EDB file. Option of Automatic search of EDB files in Local drives. The software convert EDB file to PST, EML, MSG as well as in HTML & PDF file type. Export the recovered EDB file on Live Exchange Server 2013. Option to save all contacts in single VCF file; by default software will create individual VCF file for each contact. Option to export Excel contacts to of vCard file of version 2.1/ 3.0/ 4.0. Under a single user, the software downloads emails from all folders. Option to Pause or Resume the downloading process. Maintains Backup History, to start the backup process from the point where it stopped before. Provided "Delete after Download" option to delete the mails from server after download. Scanning and analysis of Virtual Machine Files VMDK and VHD. Complete preview and analysis of emails available in the selected disk files. Efficient recovery of emails from scanned Virtual Machine disk files. The recovered emails can be exported to PST, MSG, EML & Live Exchange file formats. Under a single user account, the software can create backup of emails from all the folders. Export Yahoo emails to EML, MSG, PST & MBOX file formats with Attachments. Date Range mail filter for selective backup of emails. The option to customize the bandwidth throttling. 64 bit OS support: - The software is now compatible with all the versions of 64 bit Windows OS. Split PST: - Export the MBOX files to PST and split the resulted PST file by size (in MB and GB). “Folder” Option in Scan: - The software can now scan the files from folders as well as from the sub folders. Create a PST file per MBOX file. Single PST file for all MBOX files. Record Filters: - Now filter records while performing the export operations like Insert, Update and Delete. Date Filter: - Date Filter allows the users to select particular records on the basis of date ranges. New UI: - The UI of the software has been improved by providing it with Outlook style user interface. 64 bit OS support: - The software has now been attuned with the 64 bit versions of Windows OS. Default Quick Scanning: - The software now, by default, scans all the OST files using the Quick scanning mode. 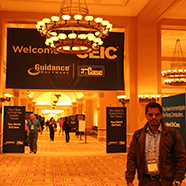 Team SysTools successfully participated in CEIC 2014 – The leading conference for cyber security, E- Discovery and Digital Investigations. The event which is one of the largest international gatherings of legal, corporate, information security, and law enforcement personnel will be the platform to share, gain and experience the latest techniques and methodologies in Cyber security, incident response, digital forensics, e-discovery and enterprise investigations. This is the second consecutive year where SysTools presents its signature product MailXaminer in the event, which comes with facility to analyze and understand the evidence that is available in the emails collected from any emailing format. Fast Searching: - Keyword – based search feature with an increased and improved rate of performance. Export Options: - Export the scanned or searched items to multiple file formats such as PST, MSG, PDF and EML. The software performs EDB to PST conversion in an enhanced and efficient way. New interactive Microsoft Outlook style user interface. Attuned with Exchange Server 2013, recovers private store files (.edb). The software can now classify the System Folders and User Folders at the time of export. SysTools is participating in Nasscom Product Enclave 2014 held on 5th March 2014 at WESTIN, Pune India. Nasscom Product Enclave is organized every year with the vision to provide opportunity for the existing/emerging software companies in India to be into the network of the ecosystem to reach their target audience. The event is expected to bring high voltage actions initiated by the adrenalin filled IT brains, that will for sure drew the attention of today's product entrepreneurship world. Team SysTools consider this venue a perfect choice to spread the word about many of the advance software applications that we developed and contributed to most happening stream of IT world in terms of applications for forensic e-discovery, disaster data recovery, cloud backup and business continuity. With the release of all new "SysTools Outlook Exporter" software, the long time objective to export and view evidences recovered through EnCase forensic software into an Outlook PST file format, comes true. A combination of two products, "Outlook Exporter" and "Outlook Viewer" software makes it a complete solution for email evidence investigations. By helping investigators export the mail record found within EnCase software to Outlook PST and later viewing the data with the help of Outlook Viewer freeware, even without Outlook Installation, the new plug-in certainly creates a buzz among the enthusiast in e-Discovery field. Now Export Gmail backup data as EML, PST, MBOX and MSG Formats. Manage bandwith utilization with throttle setting option. Option to Pause or Resume the Gmail Data Downloading Process. Export emails in MBOX, EML, MSG format and contact & calendars in VCF & ICS format. Advance Search option to search within emails and attachments. Support cloud & IMAP file types (Gmail, Google Apps, Imap, Yahoo, Hotmail). Allow to set the and manage internet bandwith by throttle setting. Option Pause & Resume option to download data from cloud to analyse. Available dashboard for Quick view of completed files in graphical format.